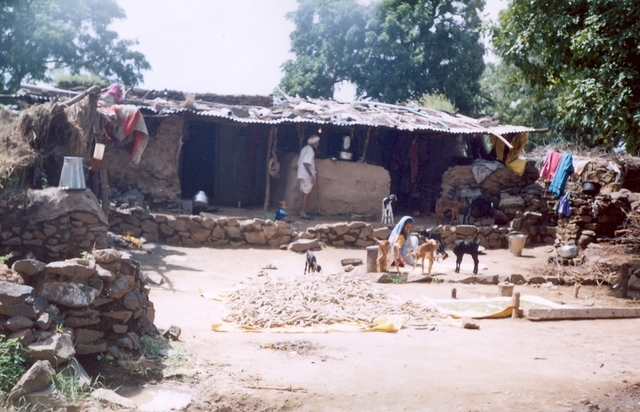 Kombadwadi hamlet is a part of the Jogeshwarwadi main village of Ambad block in Jalna district. It is a drought prone area and is dependent on rainfed agriculture . The village communities are nomadic tribes belonging to Banjaras (Lamans). WOTR has selected this hamlet for watershed development work since June 2005. Awareness and mobilization of the village community is in progress. The women have been organized into 3 SHGs involving 31 members. A total of 60 students (girls 28, boys 32) will get benefit from this scheme. About 40% of the total population have access to sanitation facilities. This information has been collected through discussions with the villagers. In order to solve the problem of drinking water discussion were held several times in the meeting of the gramsabha and SMS/SHGs. At the initial stage the Participatory Rural Appraisal (PRA) was conducted to determine the available infrastructure and resource, social structures and locations of the households. Subsequently, PRA regarding the preparation of problem tree to learn and understand the core problem, its manifestation and root causes was done. It was identified that the core problems were shortage of water for drinking and agriculture purposes. Health was also one of issues. The women and children have to walk every day (2-3 times) about a distance of 1 -1.5 km to fetch the water in summer. In order to solve the drinking water problem, the women members of the SHGs and the SMS have taken an initiative to design a drinking water project. 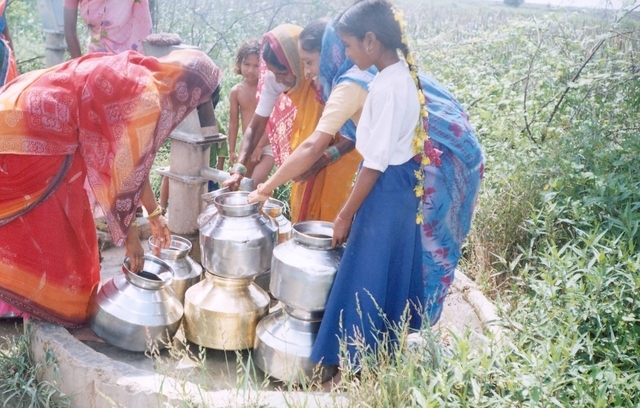 The women and village community have identified a permanent source of water i.e. bore well which has been drilled by the Gram Panchayat. The bore well has sufficient water since it is located below the percolation tank. It is about 800 ft distance from the village. A water storage tank will be constructed having a capacity of 10,000 liters. It is planned that an electric pump will be installed on this bore well and the water will be lifted to the newly constructed storage tank through underground pipeline. Four stand posts will be constructed in different locations in the hamlet through which the people would have access to water. The project will be implemented in one phase and the amount will be released in 3-4 installments. After the monitoring of the utilisation of the first installment , the next installment and so on will be released.